Rowman & Littlefield Publishers, 9781442239364, 192pp. 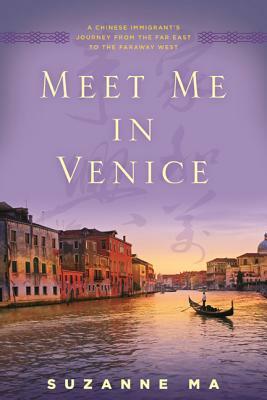 When Ye Pei dreamed of Venice as a girl, she imagined a magical floating city of canals and gondola rides. And she imagined her mother, successful in her new life and eager to embrace the daughter she had never forgotten. But when Ye Pei arrives in Italy, she learns her mother works on a farm far from the city. Her only connection, a mean-spirited Chinese auntie, puts Ye Pei to work in a small-town caf . Rather than giving up and returning to China, a determined Ye Pei takes on a grueling schedule, resolving to save enough money to provide her family with a better future. A groundbreaking work of journalism, Meet Me in Venice provides a personal, intimate account of Chinese individuals in the very act of migration. Suzanne Ma spent years in China and Europe to understand why Chinese people choose to immigrate to nations where they endure hardship, suspicion, manual labor and separation from their loved ones. Today all eyes are on China and its explosive economic growth. With the rise of the Chinese middle class, Chinese communities around the world are growing in size and prosperity, a development many westerners find unsettling and even threatening. Following Ye Pei's undaunted path, this inspiring book is an engrossing read for those eager to understand contemporary China and the enormous impact of Chinese emigrants around the world. Suzanne Ma is an award-winning journalist and former Associated Press reporter whose work has appeared in numerous publications, including the Wall Street Journal, Bloomberg Businessweek, the Huffington Post, and Salon, among others. She has a master's degree from Columbia University's Graduate School of Journalism, where she was awarded the Pulitzer Traveling Fellowship. Born in Toronto, Suzanne was raised by immigrant parents who insisted she attend Chinese school every Saturday morning. Suzanne's Chinese lessons continued in Beijing, where she met her husband while studying abroad. His family's hometown is also Ye Pei's, and the town's remarkable three-hundred-year history of emigration inspired this book.